I have always been a frustrated, trying hard, wannabe Roxy girl even before I took up wakeboarding and jet-skiing. When I started doing water sports, mas feel ko pa.
My obsession with Roxy went overboard for awhile to the point that I wanted everything I owned to be Roxy. No kidding, no sip-sip factor. My first car had huge Roxy stickers plastered all over it. I even bought a license plate kit and a keychain to match it. My bathroom rug was Roxy, and as is probably obvious by now, all my bags, clothes and shoes were also Roxy. To point out how bad it got, I was on a first name basis/friendship levels with all their staff from Rockwell, Megamall and Glorietta. I was even given a silver VIP quiksilver discount card. Addict lang talaga. 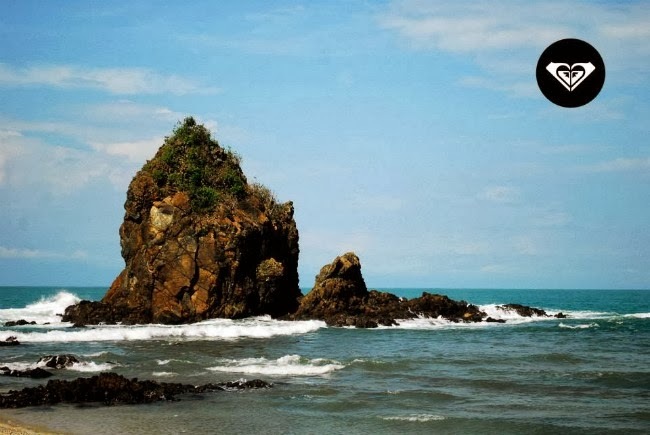 Unlike most girls who idolize models and actresses, I have always looked up to and aspired to be a ROXY GIRL. Their undying brave spirit, spontaniety, sense of fun, strength, bravery and the ability to excel at male dominated sports really appeal to me. So anything Roxy, I'm always a go, com rain, come shine. First off, I would just like to commend Primer Group for picking the perfect spot to do the launch. 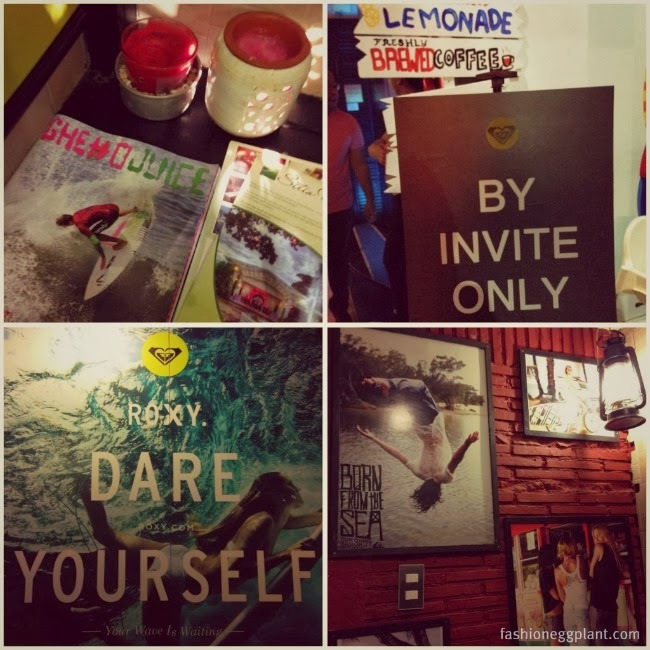 No other resto in Manila captures the spirit of Roxy more than Sunrise Buckets. The actual event was pretty much laidback and casual with beer and wings all around plus awesome acoustic music provided by the "Muffintops" (not sure if I got that bit right). They do fantastic Sting, John Mayer, Dave Matthews, Jack Johnson, U2 etc. covers. 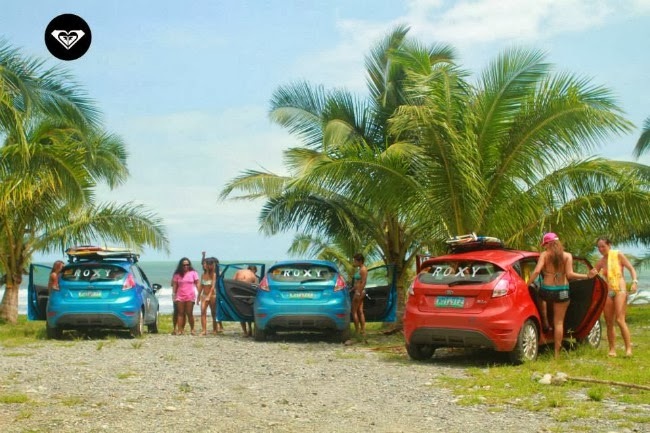 And of course, the Roxy Girls were there to celebrate the launch of their video that was done with the cooperation of Ford and their new Fiesta...(imho, one of the cutest affordable five doors right now). 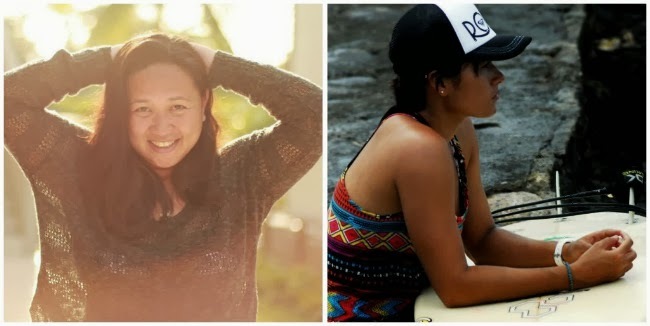 Roxy brand ambassadors :Tamara Benitez, Bea Vega, Lorraine Lapus, Nicola Sebastian, Noelle Hilario, Mica Santos, Nilbie Blancada, Paula Rosales, Abby Ramos, and Kage Gozun. Currently uploading the official "Roxy Does Baler" video on my YouTube account so if you'd like to tickle your wanderlust further and get a sneekpeak of how these girls live their lives, make sure to check it out HERE. thanks to Christine for some of the photos.